A new update, update 1.0.2, is launching later today for Sea of Thieves, introducing gameplay tweaks as well as several fixes. The most important tweak is the change to ship respawn distance, which has been increased significantly to avoid griefing. Catch the full update notes below. Mermaid Teleport – It is no longer possible to accidentally teleport to your ship from the mermaid whilst holding treasure items. We saw feedback that players were accidentally leaving treasure behind in the sea! Some players are unable to equip a second weapon. For a potential workaround see our Support Article. For an update on these three issues, please read our Launch Updatewritten by Executive Producer, Joe Neate. 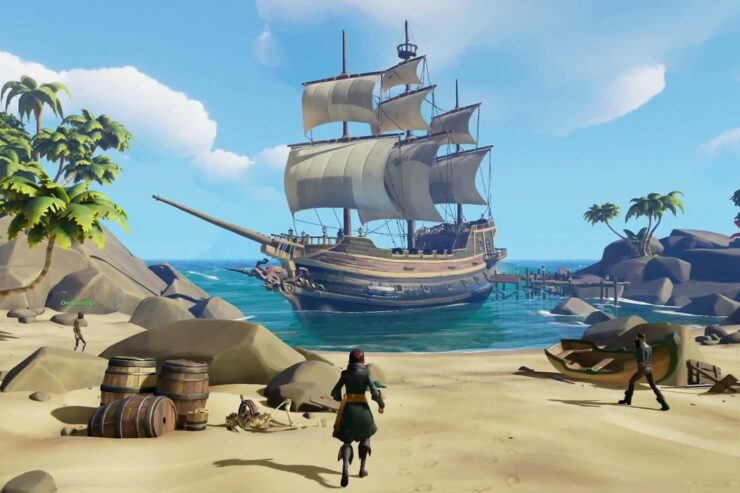 Sea of Thieves is now out on Xbox One and Windows 10 PCs in all regions.